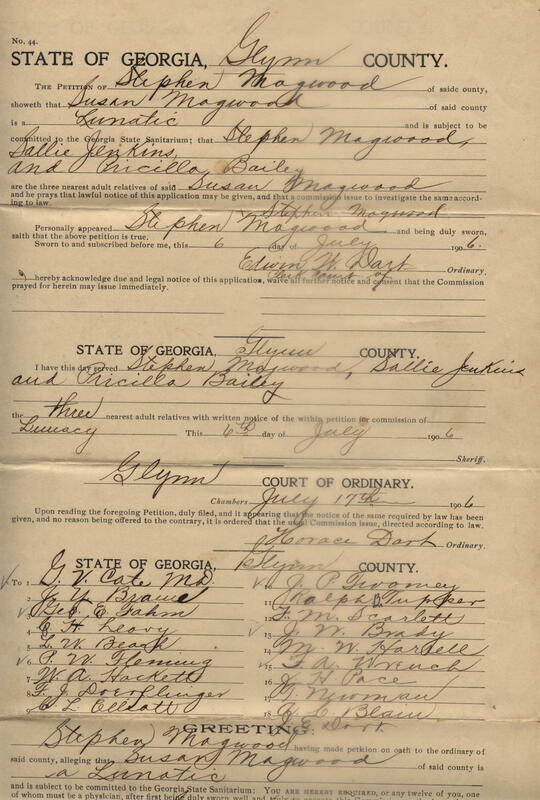 The Petition of Stephen Magwood of said county, showeth that Susan Magwood of said county is a lunatic and is subject to be committed to the Georgia State Sanitarium; that Stephen Magwood, Sallie Jenkins, and Pricilla Bailey are the three nearest adult relatives of said Susan Magwood, and he prays that lawful notice of this application may be given, and that a commission issue to investigate the same according to law. 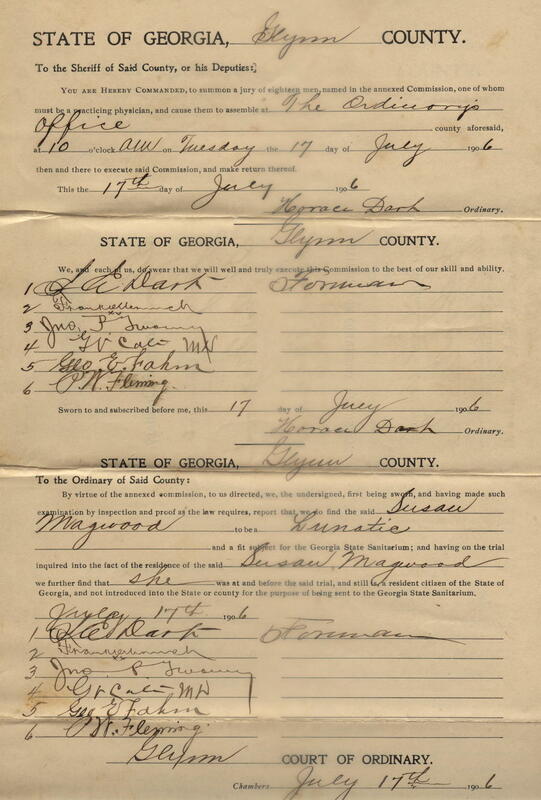 Sworn to on the 6th day of July 1906 in presence of Edwin C. Dart, Ordinary. J.E. Dart, Frank A. Wrench, Jno. P. Twomey, G.V. Cate, Geo. 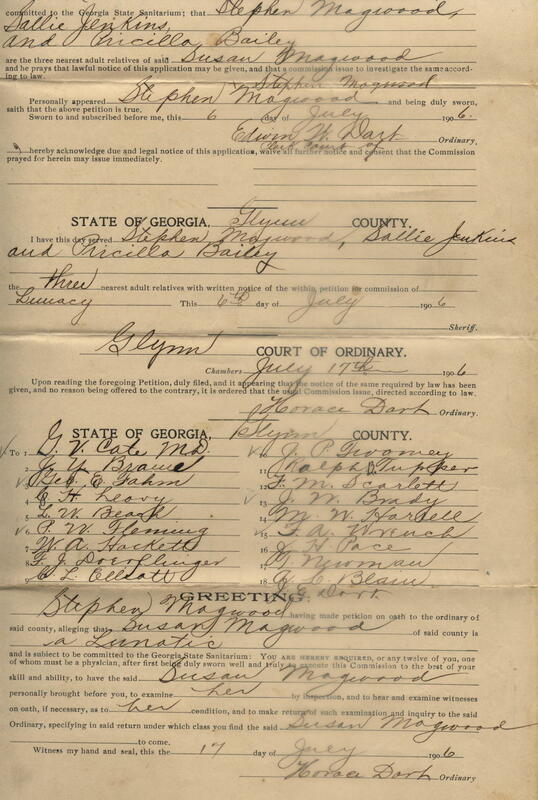 E. Fahm, and P.W. 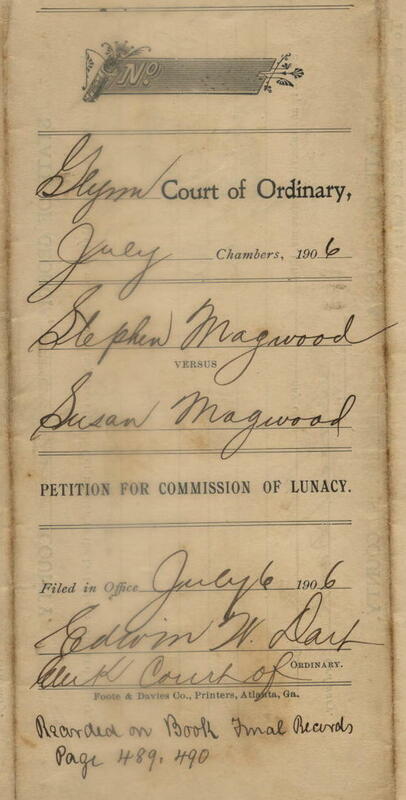 Fleming, attested to and agreed with the lunacy charge. 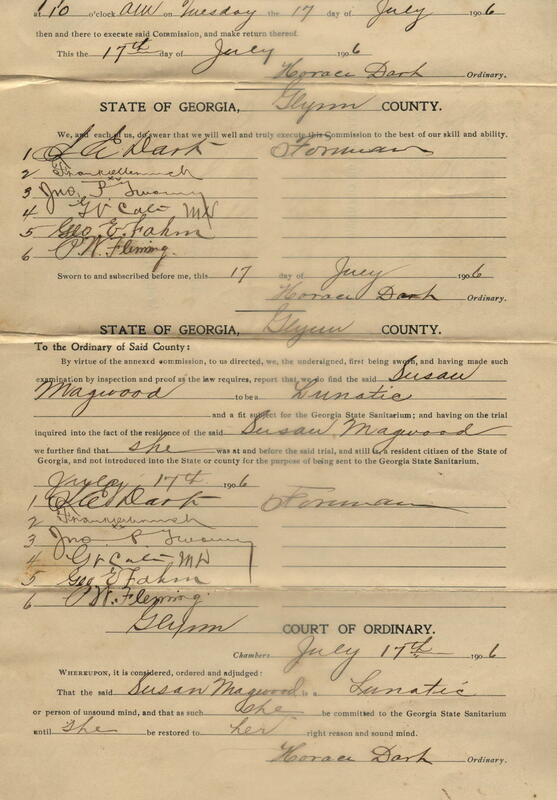 On 17 July 1906, she was deemed a lunatic, or person of unsound mind, and that as such, she be committed to the Georgia State Sanitarium until she be restored to her right reason and sound mind.